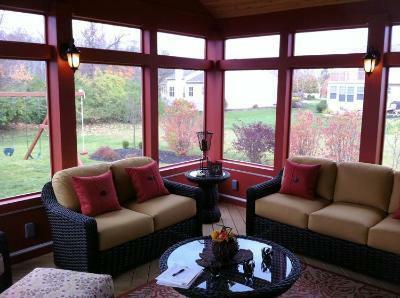 Archadeck of Columbus explores ways to utilize your screened porch well into the autumn or all year through by converting your screen porch into a 3 or 4 season room. For many homeowners who have a screened porch they look at it as a structure that can only be used during the warmer months of the year and once the weather turns colder they can no longer spend time enjoying their screened structure. Many screened porches are treated much like a seasonal outdoor pool would be, opening in the spring only to close it down a few months later after the warmth of the sun has made its grand appearance and faded back behind the clouds of autumn. This doesn’t have to be the case. There are many ways to convert your screen porch into an outdoor living space that can be used beyond the end of summer and in some cases all year through. These conversions still take advantage of the whole reason you wanted a screen porch to begin with – the freedom and fresh air without the hassle of insects and the suns dangerous UV rays beaming down upon you and your family. These conversions won’t take away all the glory that is the screened porch, only enhance it and make it a livable addition to your home and backyard for extended season enjoyment. 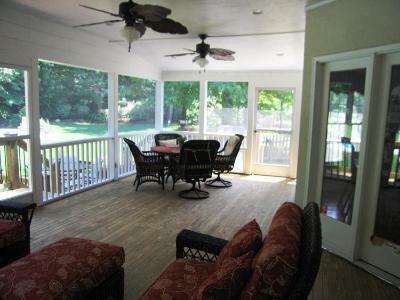 A screen porch does have it’s limitations and in some cases only be used between five and six month out of the year. Screened porches can be converted into 3 and 4 season rooms that can be used for longer time periods throughout the year. If you are considering a new screened porch in your future and think you may want to convert the structure at some point, it is good idea to convey this to your builder so that certain prerequisites for conversion can be met ahead of time, such as the use of standard window sizes to make conversion easier and less hassle in the future. 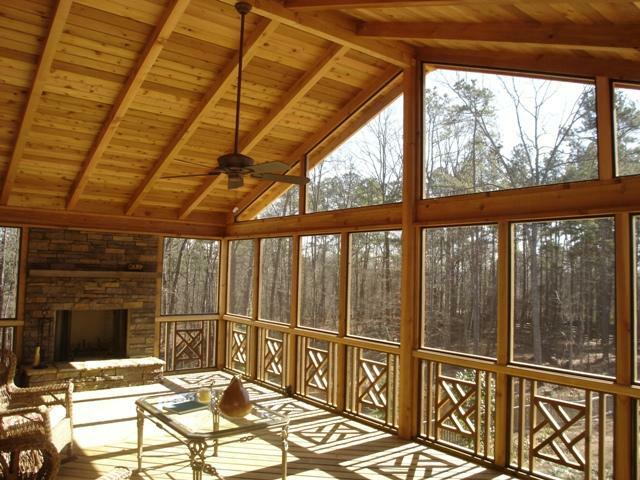 Converting a screened porch to a 3 season room can be as easy as adding windows. By adding windows you can take advantage of 3 or more months of enjoyment on your screened structure. All windows come with screens that can be used when that Indian summer arrives. Many homeowners use acrylic inserts that block out the weather and when the temperatures dive into a less comfortable zone you can easily add a space heater to add warmth on those days when the windows won’t block a sufficient amount of the chilliness to keep you comfortable while using your screen porch. 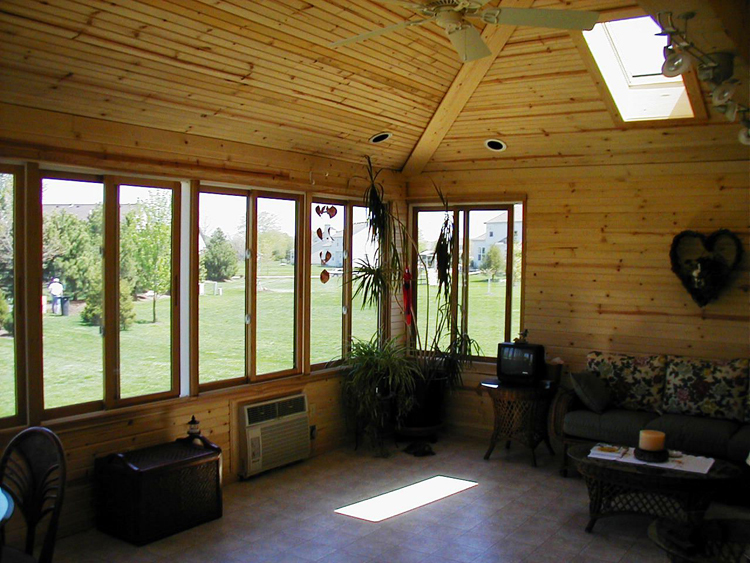 Vinyl window inserts such as the Eze breeze porch enclosure system, are on a track system and can be opened and closed depending on the weather. 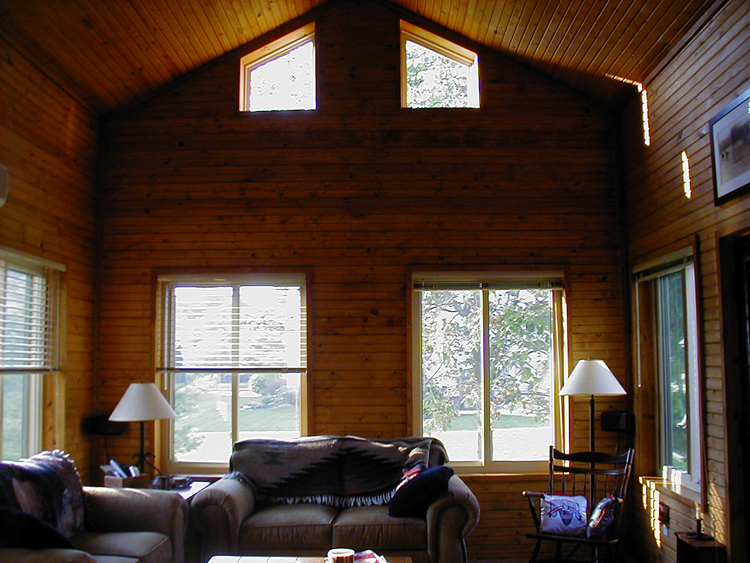 Other manufacturers offer a double-paned insulated window that can also be removed in the spring when the weather turns warm. The advantage of having windows and screens is you can amend how your structure functions season to season, and even day to day and customize how much of the outside you want to let inside. Artistic enclosures makes a wonderful swing and slide window wall that is perfect when considering a conversion to a 3 season room for your screened porch. 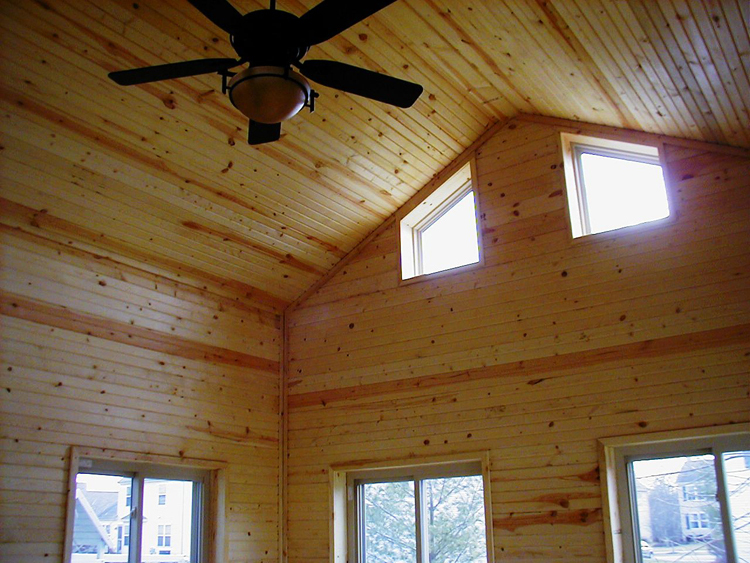 The difference in a 3 season room and a 4 season room is the addition of insulation. These structures can be used throughout most of the year. Insulation is added to the kneewalls, ceiling and underneath the floors. On existing screened porches this requires enclosed walls be re-opened to add the insulation. Making the decision to convert to a 4 season room is based on how often you feel you would use the structure during the cooler months of the year. A 4 season room will still need to have a heating source, whether this heating source is a heat pump or a new MEHVAC unit such as Mitsubishi’s ductless heating and cooling unit, which are engineered to efficiently heat or cool and individual space the functionality of the space throughout the year for you and your family is the deciding factor when thinking of converting to a 4 season room. 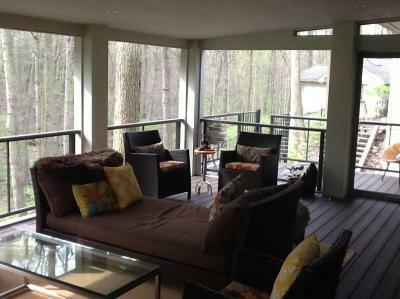 To see more stunning 3 and 4 seasons rooms by Archadeck of Columbus visit our Columbus screen porch photo gallery.